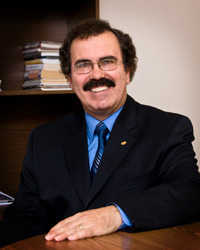 With thirty years of experience as a Chartered Accountant and Licensed Public Accountant in Northern Ontario, Michael Plastino can offer you or your business the financial solutions you need. We specialize in the preparation of your financial statements (ie. Audits, Reviews, Notice Reader, Profit & Loss), Corporate taxation and planning, as well as personal tax and financial planning. For a more complete list of our services visit the Services section. Let our staff take the hassle and worry out of your accounting today.